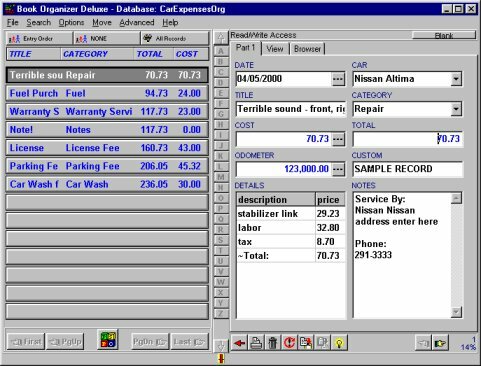 Use this software template to organize and track your car expenses for maintenance and repairs. Software template can be used by business and private car owners. Manage information including car service date, car name, service title, auto service category, total expenses, service notes, and more.